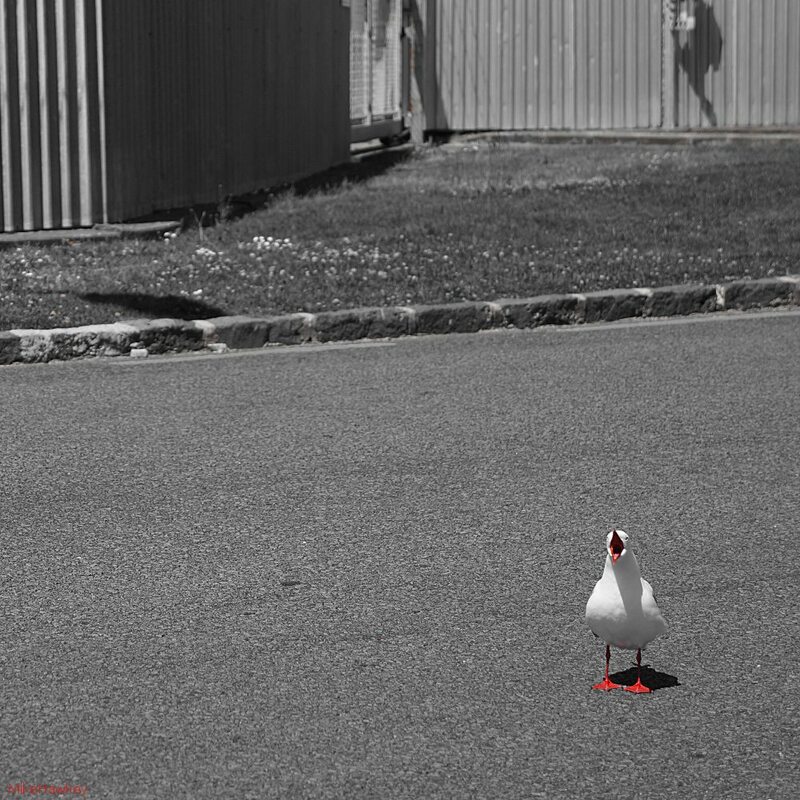 I’m pretty sure ‘Oi!’ was the seagulls statement at me as I snapped him in this photo the other day in town. Summer is sure on its way in Auckland these last few days – of course having faulty air-conditioning at work, taking us to 28+ degrees helps, as does running around in level 2’s in the evening. Image wise, snapped on the Sony Nex and edited in Gimp. Editing consisted of cropping to square format, desaturating all but the red, and bumping up the sharpening slightly. As Mondays often are, its been a long day, so I will aim for more tomorrow.